Asphalt Repair Services, Catch Basin Repair, Speed Bumps in GTA. Asphalt can become cracked over time, especially if the surface has not been sealed correctly. Cracks in asphalt are usually caused when moisture is able to soften and weaken the layer below the asphalt. A proven method to prevent cracks from forming in asphalt is to have the driveway, parking lot, or whatever the asphalt is used for, sealed. 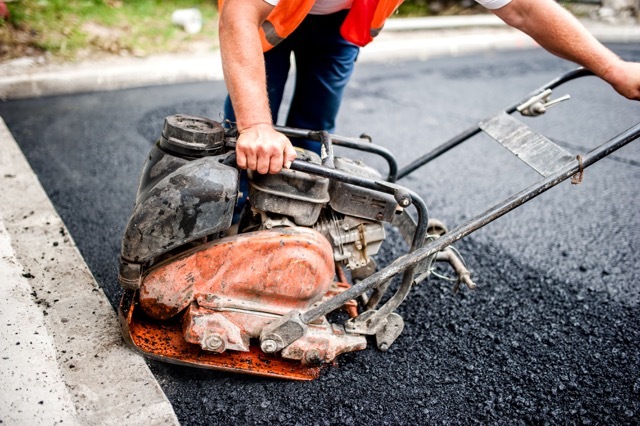 If you have spotted a few cracks in your asphalt, don’t worry, as long as you have them repaired sooner rather than later, there is an easy solution. Asphalt damage can take the form of small cracks or potholes, that can develop into larger problems if not repaired, as the longer the crack is left open, the greater the amount of moisture is able to get through to the layer below, and the bigger the crack will get. The Action Home Services team can repair any crack or pothole and then seal the freshly repaired asphalt. The driveway or parking lot sealing process will help to prevent any more damage for many years to come. The importance of having your driveway sealed cannot be overstated. Without a properly sealed driveway or parking lot, you may discover that your driveway is prone to developing cracks in no time. The having the sealant applied before any cracks or potholes start to form will give your asphalt the protection it deserves. At Action Home Services, we are able to repair, maintain and even improve your catch basin. Our team of professionals uses modern methods and the highest quality materials to ensure that your catch basin is repaired or installed in no time at all. We take great care to ensure that your new catch basin will perform as it is supposed to, and that it is located in the right place. We can help to maintain your catch basin in the future, so if you have any questions at all regarding your catch basin, do not hesitate to get in touch. If you have a concern about your catch basin, or you think that you need an upgrade, getting in touch with Action Home Services today is the first step. These are becoming more and more common in many areas outside of the suburbs. Many commercial locations are having speed pumps installed to help slow down traffic and also help to prevent accidents. 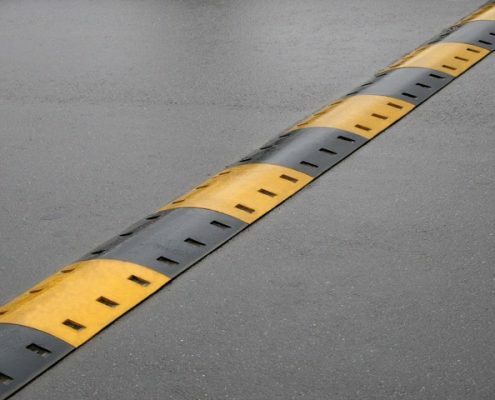 When speed bumps are properly placed, they are able to protect customers and employees from those who drive a little to fast in the area. They do, however, need to be maintained and repaired on occasion. The pressure that a fully loaded truck places on a speed bump can be quite significant. If the speed bump has not been installed and maintained by an expert then cracks can form. When it comes to speed bump repair, Action Home Services is able to provide you with a solution that will ensure that your speed bumps are restored to their former glory in no time. If you are looking to have a speed bump installed onto your property, then you should make sure that you get in touch with Action Home Services. We will be able to provide you with a quote, and answer any of the questions you have. Action Home Services is an experienced and certified asphalt paving contractor serving Toronto, Markham, Vaughan, Thornhill, Concord, Scarborough, Brampton, Mississauga, Burlington, Oshawa, Richmond Hill, Milton, Oakville, Aurora, Caledon, Pickering, Whitchurch – Stouffville, Ajax, Whitby, New Market.